Ali is dedicated to promote ‘Youth as a Solution, not as a Problem’ in the society. Ali is taking both direct and institutional change approach to foster a culture of youth-led development and social innovation. He has brought a significant paradigm shift from a deficit-based youth development model to a strength-based youth development model. 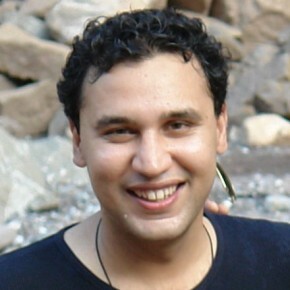 Ali is the founder and CEO of Youth Engagement Services (YES) Network Pakistan. His organization facilitates thousands of children and young people to begin their entrepreneurial journey each year through its projects. Idea testing in the field of youth engagement is his craft. A native of Lahore, Pakistan, where he earned his BA and Masters in Political Science focusing on Development Politics. Ali also participated in communication courses at Johns Hopkins University, USA. In December 2012, Ali gave a TED talk at TEDxFCCollege, an event organized by Forman Christian College, Lahore, Pakistan under the theme of Innovation- Harnessing the Hidden Revolution, in which he identifies Youth Disengagement as the greatest problem facing the world today. More about the TEDxFCCollege event and Ali. My time at the Sauvé was one of the most enriching and fulfilling year of my life. We were offered a wonderful work and living environment. I do want everyone to know that every second I spent at Sauvé house was sheer bliss. It fostered friendly evenings of talk and healthy meals within a dynamic young community. I accomplished much of what I’d set out to do but I also went in new directions I could not have planned. The fellowship allowed me to reflect, work, contemplate, analyse, connect and discuss ideas. I was able to really unplug and focus solely on my youth development work. A comfortable living space made it an ideal place to unwind, work, critique, rest and revive.